Do you suffer from eczema on your feet? In this post, 3 Ways To Treat Eczema On Your Feet, we’ll explain the 3 different methods for treating and managing your condition. I suffer from eczema on my feet and so does my son, we have suffered from eczema all our lives and have learned to manage our condition so it doesn’t affect our daily lives. Many people who suffer from eczema get it on their feet, some people like myself get it to the point where I can hardly walk some days. The cracks and splits on my heel and the side of my feet really hurt. Learning some simple methods to treat eczema on your feet in 3 simple different ways will help you manage your condition. Short on time? Best product here! How do you know you have eczema on your feet? The two main types of eczema that will affect your feet are Atopic Dermatitis or Dishydrosis eczema, sometimes known as Pompholyx. This type of foot eczema causes tiny, deep blisters on the soles and sides of the feet and the palms of your hand. When it affects just the feet it is called Pedopompholyx. If you think you might have either condition you should see your doctor to get the correct diagnosis. Both conditions affect both men, women, and children. 10-20% of children suffer from eczema in some shape or form but thankfully most grow out of it before they reach their third Birthday. What can cause foot eczema? Most people who have eczema are born with the condition and most people will grow out of it. Is there a cure for eczema? No, Not a guaranteed cure, but we can manage the condition to the point where it doesn’t affect your daily life or cause you pain. What are the 3 different ways to manage eczema on your feet? Medical intervention: UV Light therapy (ultraviolet) which helps to reduce inflammation on your feet and reduces the itching and increases vitamin D production. Corticosteroid and Antibiotics prescribed by your doctor or Dermatologist. Natural Methods: This can be anything from reducing stress, changing your diet and bathing in natural minerals like DEAD SEA SALTS. Any treatment that doesn’t involve chemicals or non-natural materials. Depending on the severity of your condition, this might influence how you treat the eczema on your feet. Some people will only use natural remedies and that’s fine. However, there are some points in your life when treating your eczema, when you might want to consider using other methods. When you’re experiencing a bad flare-up you might consider a short spell of Corticosteroid treatment to manage the flare-up. We would only suggest you use this as a short-term solution to get over the flare-up. The best way is to moisturize daily with a good emollient like Diprobase. We use this in our family every day, I can tell you how many tubs we have used over our lifetime, hundreds I estimate. I don’t know where we would be without this amazing moisturizer Diprobase. We can’t say, it all depends on the severity and type of eczema you suffer from. You should talk to your Doctor before trying any form of treatment. Following the simple rules for treating eczema will help, Keep moisturized, avoid irritants and try not to scratch your feet. easier said than done I know. Nothing feels better than itching those feet, but the damage you do can take weeks to heal. As you can see from my feet, I have to deal with this condition daily. There are a couple of things you can use to help you manage the condition. Some are a little treat like a lukewarm foot bath. Ahhhh nothing feels better to me than bathing my feet in lukewarm water with Dead sea salts. We use the emollient method, simply because we don’t suffer any bad reactions from the creams we use, it contains no steroids and we feel its a good compromise. I use The Nursal All in one-foot spa and we love it, remember to only use lukewarm water as hot water will only irritate your eczema and cause it to inflame. Remeber to add a small amount of Dead Sea Salt and pat dry after. 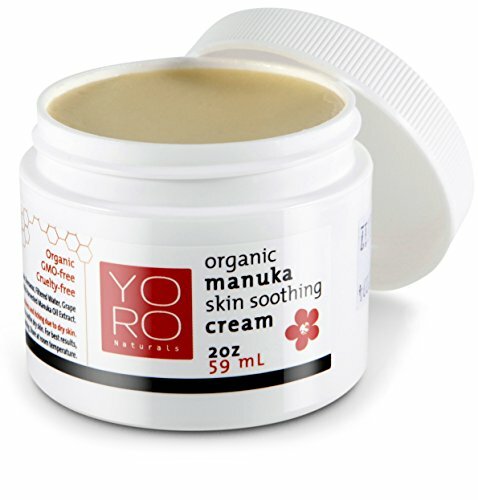 Then apply a good layer of emollient we recommend two Diprobase or Manuka Honey. Then allow it to soak into your feet by wearing Eczema socks. These will help the cream soak into your feet so you get 100% benefit from the emollient you use. Best Christmas Gift for Women & Men ♥Great Gift! 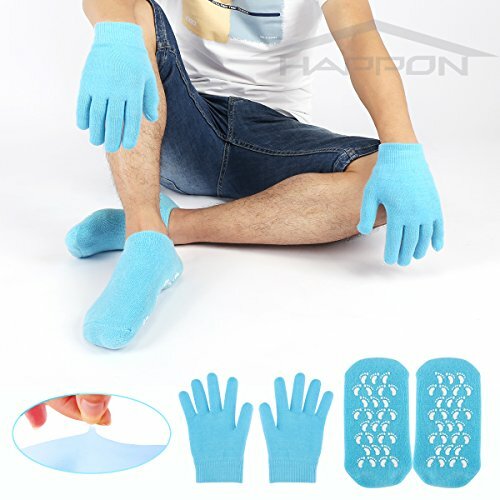 100% Soft Cotton Exterior and Thermoplastic Infused Gel, Moisturizing Socks and Gloves Keep Your Hands Breathable and Warm day and night. ♥Botanical Oils Help Restore Beautiful Soft Skin With a Daily Moisturizing Routine. ♥Deep Care with Your Favorite Moisturizing Lotion. Gel lining meant to speed up and enhance the moisturizing process and help your dry or chapped skin heal much more quickly than it would with lotion or hand cream alone. 【Portable Handle & Anti-Skip Rubber Feet】- The portable handle brings much convenience for moving and carrying the foot spa massager. Four rubber feet under the massager offer great stability and support. 【Multifunctional Massaging Design】- With the heating therapy and speed, our foot massager can maintain a constant temperature for warming your feet while massaging. Multiple water jets produce numerous water bubbles which is good for relieving pressure and pain and securing multi-insulation protection. Besides, it can also effectively promote blood circulation, improve metabolism, relieve fatigue and smoothens the meridians. 【One Hour Auto-Off Function】- The foot massager can turn off automatically if you forget turning it off after one hour, which greatly ensures safe use. Equipped with anti-splash water guard, the foot spa kindly keeps tidy and clean while you enjoy comfortable foot spa time. 【LCD Display & Rolling Design】- LCD display shows temperature control, infrared bubbling massage and heating. ABS massage rollers roll the whole foot bones and truly eliminates fatigue. Oxygen bubbles massage brings you a luxurious spa experience. You can enjoy the deep-penetrating massage while moving your feet forward and backward over the reflex zone. The bulgy point is designed according to the point of foot. 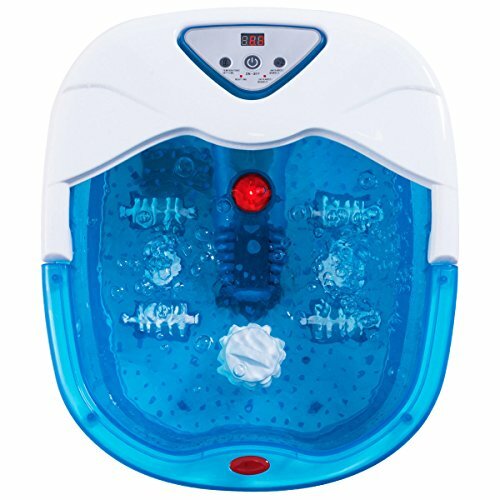 【Suitable For Daily Life】- Featuring convenient design, our foot spa massager is easy to use, clean and maintain. If you want to drain the foot bath, you can just turn all controls to the "OFF" position, tip the unit and allow water to split out along the drain spout. ★FOOT MASSAGER MACHINE - Features with deep kneading massage rollers, heating and air compression function, INTEY foot massager will help soothe sore muscles and promotes muscle recovery and therefore, gives you Three major effects: Relaxation, Rejuvenation and Circulation. ★HEATING FUNCTION - Shiatsu massager with heat can stimulate nerve and is great for plantar fasciitis and arch pain decreased. This massager comes with a heat function that the highest temperature will up to 104-114.8℉, a very mild heat. ★TIMING FUNCTION - INTEY automatic foot massager comes with an auto shut-off function. Press the timing button to select massage time (10 mins/ 20mins/ 30 mins), number will be showed on display and you can easy to know when it's times up. ★AIR PRESSURE - Built-in air compression function which can squeeze the top of your feet and there's 5 levels to choose from. The feet massager possesses a unique "DEFLATE" function that others don't own as you can press the "DEFLATE" red button to reduce stress if you can't afford the intensity. ★HYGIENIC - With removable and washable cover, the foot massager can be removed the fabric that lines the feet via zippers, allowing you to clean it and ensuring it is hygienic, an effective way to protect your feet from getting infected, keeping foot foot health.